Today I’m off to a place called Muizenberg for a French Composers concert. Muizenberg is a beach-side suburb and is situated on the shores of the Cape Peninsula (on the coast). Again, the venue I am going to is an old building that has been restored. It was built in 1929 and aims to reflect the spirit of Venice – glorious! It’s the former residence of Count and Countess Natale Labia. It’s a building rich with history that is now a national monument and serves as a multi-functional cultural centre. There’s a contemporary South African art gallery, a boutique and also an Italian Café. The afternoon is about exploring French music traditions from the 1600s to the 1900s including Debussy and Ravel, performed by Vicente Espi, Alliz Nicholas and Martin Jacoby. I’m sure it will be very elegant and inspirational! The mansion is called ‘Casa Labia’. My work has led me to a lot of amazing people. I’ve loved learning from their stories. Wow… so glad I bought a ticket! 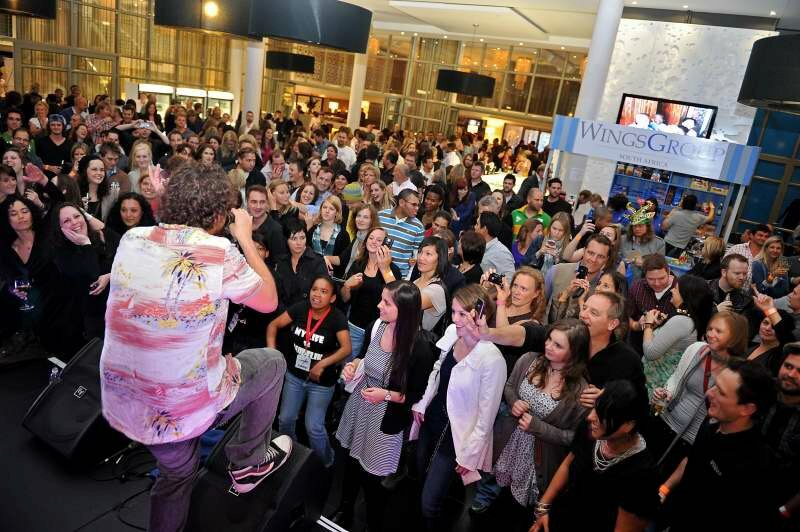 What an awesome night for R150 — and it’s going to charity! The benefit concert was in aid of the My Life Foundation, for people with special needs. The Upper East Side Hotel in Woodstock was the venue …and the verdict? — very chic! The Wings Group were giving away Riesen chocolate for a small donation. There were DJ’s there from a local radio station called “2OceansVibe”…. They were awesome guys and gave me a chance to take-over the mic live on air! I used to be a Radio DJ at my university’s radio station – the University of Cape Town’s “UCT RADIO”- so I wasn’t too shabby as I spoke about the event on air. The evening was organised by the Little Black Book PR & Events Group.